Hey guys! How was your weekend? 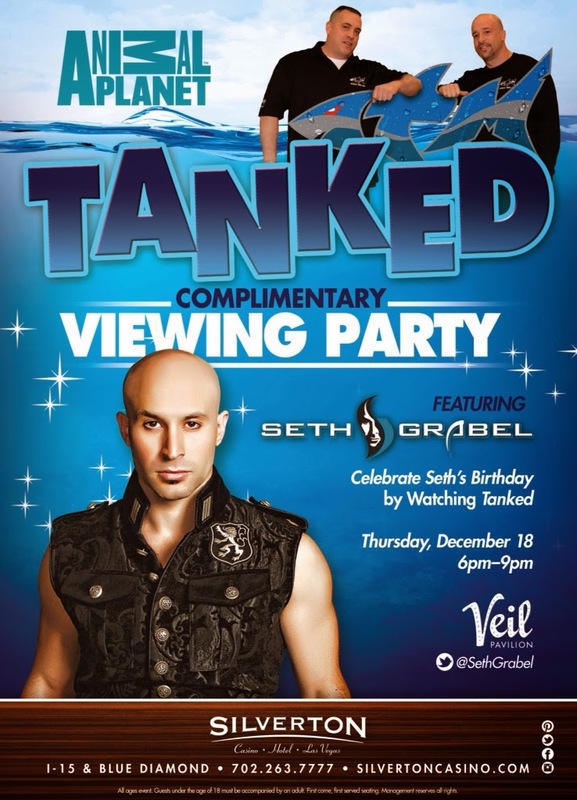 By chance did you catch the Episode, Saved by the Spell on the Animal Planet’s Show, TANKED? I was one of the clients that needed a custom aquarium and what they were able to build for me was incredible. I visited the headquarters with a really good idea drawn out, needing an escape tank that had to emulate Houdini’s Water Torture Escape. 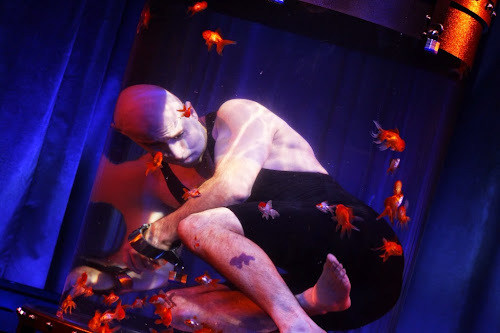 The tank needed to be solid and able to comfortably fit my entire body, unique in style and construction, as well as portable, so I could easily take it with me on the road, and of course it needed fish! The guys at TANKED took my idea to a whole new level! So, if you were wondering what TANKED actually is, let me give you the skinny. The two men in charge of the show are brother-in-laws Wayde King and Brett Raymer. They run the family owned business named, Acrylic Tank Manufacturing (ATM), which is the largest aquarium manufacturing company in the nation. This Las Vegas based company provides any and all types of aquarium construction that is only limited by the limitless imagination that they possess. Wayde and Brett’s team consist of Wayde’s wife, Heather King that is in charge of Accounts payable, Bret and Heather’s father Irwin Raymer known as “The General” whom is the General Manager, Robert Crislieb who is the marine tech, and Agnes Wilezynsky in charge of sales and estimating. So, after I left them to do what they do best, they created a masterpiece for me. If by chance you missed the episode and are in Las Vegas on December 18th, between 6pm and 9pm, there will be a complimentary viewing party at the Silverton hotel and casino. 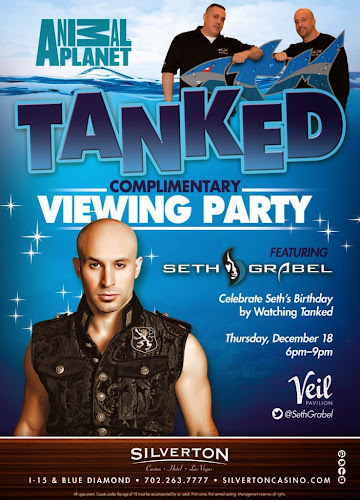 We will be there celebrating my birthday and watching the TANKED episode I was in. So stop on by and have some fun with us!